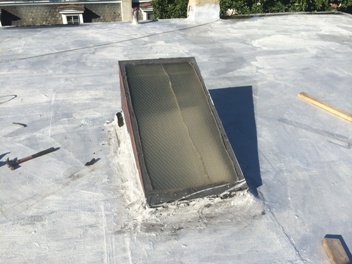 Skylight was leaking badly, Glass and curb were damaged. 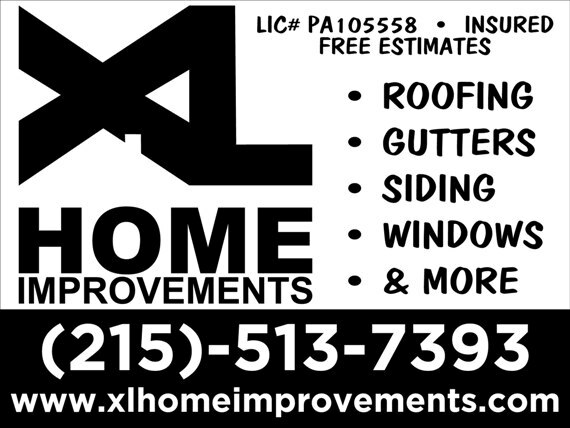 XL Home Improvements removed the skylight and cleaned up the area. 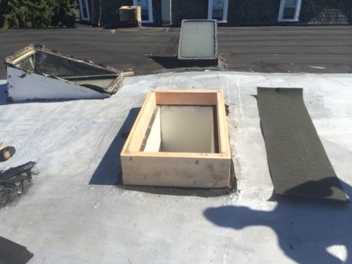 We made a new curb and packed it out to except the new unit. 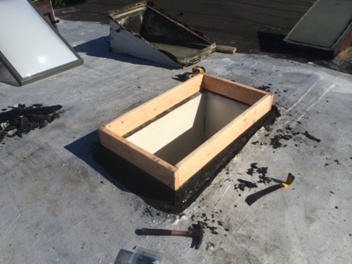 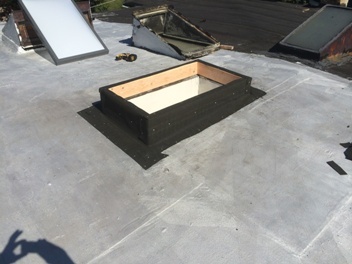 The curb was flashed with Single Ply Membrane and new Bubble skylight installed. 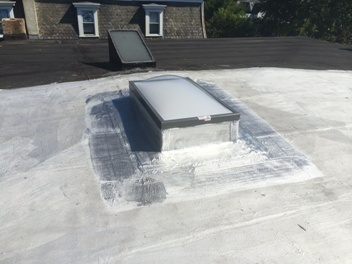 The flashing and surrounding roof was then coated with Fibered Aluminum Coating. 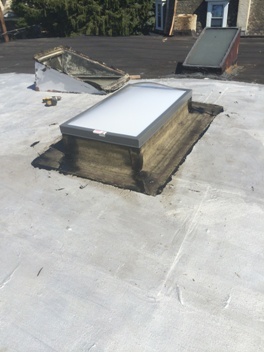 This entry was posted in EMERGENCY SERVICE, ROOF REPAIR, SKYLIGHTS, STUFF TO CHECK OUT! 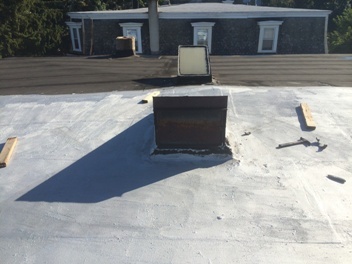 and tagged Roof Coating, Roof Repair, Skylights on January 18, 2015 by Rut327.